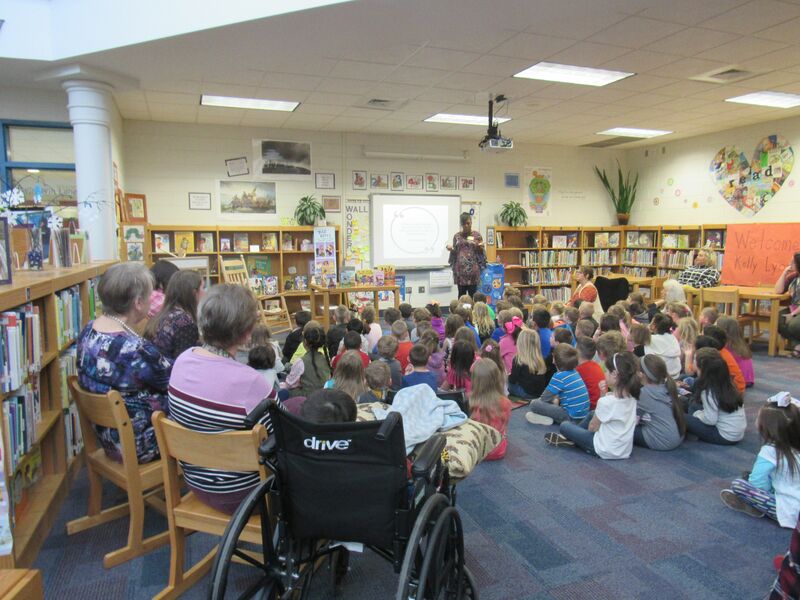 Hazelwood Elementary was fortunate to host North Carolina author, Kelly Starling Lyons. Lyons has written many books for elementary-aged children that range in the genres of historical fiction, biographies, and realistic fiction. 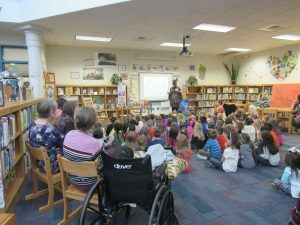 She met with all students at Hazelwood in Pre-K to 2nd grade and talked with them about how she began her career in writing, her process of writing books, and how she enjoys weaving family history along with history itself in her writing. In one of her books, Tea cakes for Tosh, she tells of her grandmother who would always make tea cakes and tell stories of the family’s slave history while baking. When grandmother’s memory starts to fail, Tosh is able to help with the cookies and more. Here are some of the author books Lyons has written so far: A girl called Misty: a biography of Misty Copeland, Ellen’s broom, Hope’s gift, a chapter book series called Jada Jones, and One more dino on the floor, a rhyming book based on dinosaur tracks that were found in Bolivia. She has written 9 books total, but has 11 more in process at this time. During her day at Hazelwood Elementary, six students were able to have a one-on-one lunch with Ms. Lyons. Students were able to ask her specific questions about being an author. Along with sharing their favorite books and what they like to write about, these students also shared what they like about school and what kind of writing they do in class.